This weekend ONLY (Saturday 9/24 and Sunday 9/25) bring ANY ticket stub with you and show us to get into all for haunted houses for just $13! 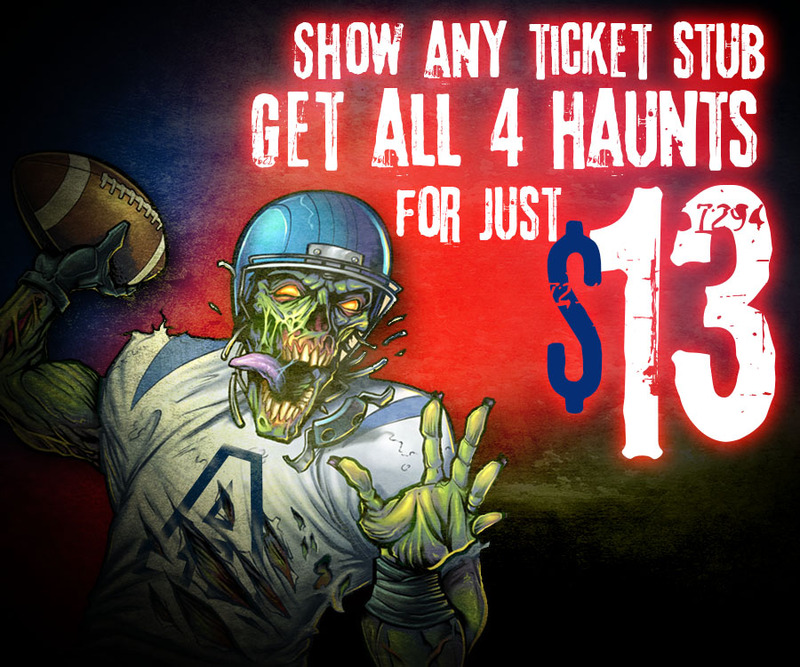 You read that right, get our 4 FEAR ticket for just $13!! This offer is only valid this weekend and it is only available at the door. We are open both nights from 7pm to 10pm. Plus, join us for this special deal opening weekend and you will be one of the first to see the ALL NEW Voodoo Bayou! *Offer valid with ANY ticket stub – U of A Football, Movies, N9ne Fest, or anything else! One ticket stub per person per ticket. Only available at the door.